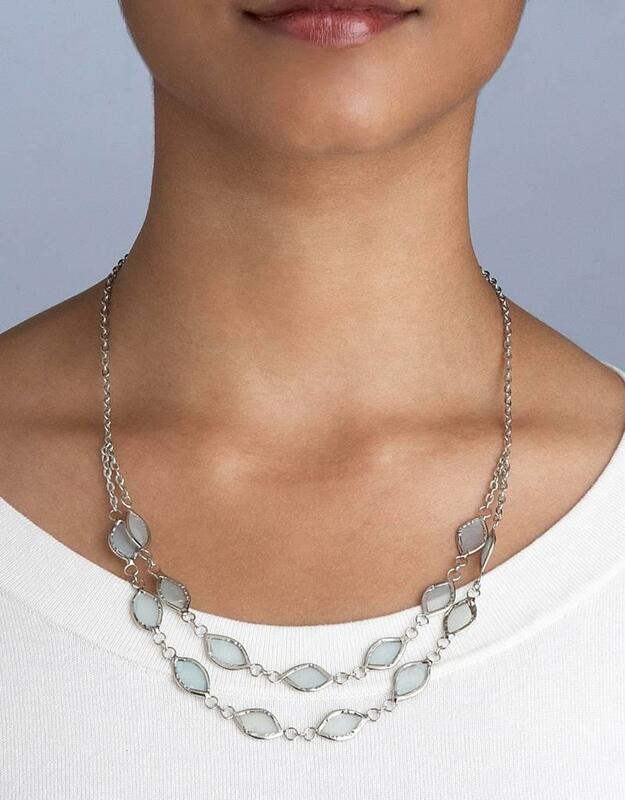 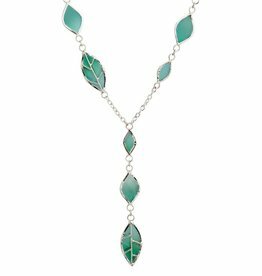 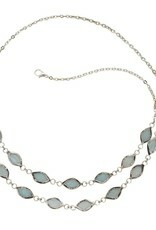 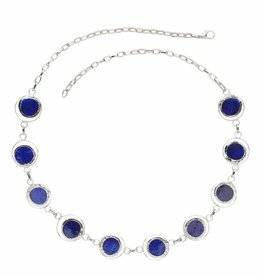 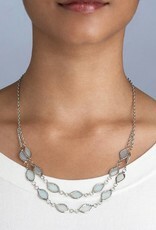 Capiz shell leaf shape is framed by delicate silver metal wire in this double-strand necklace. 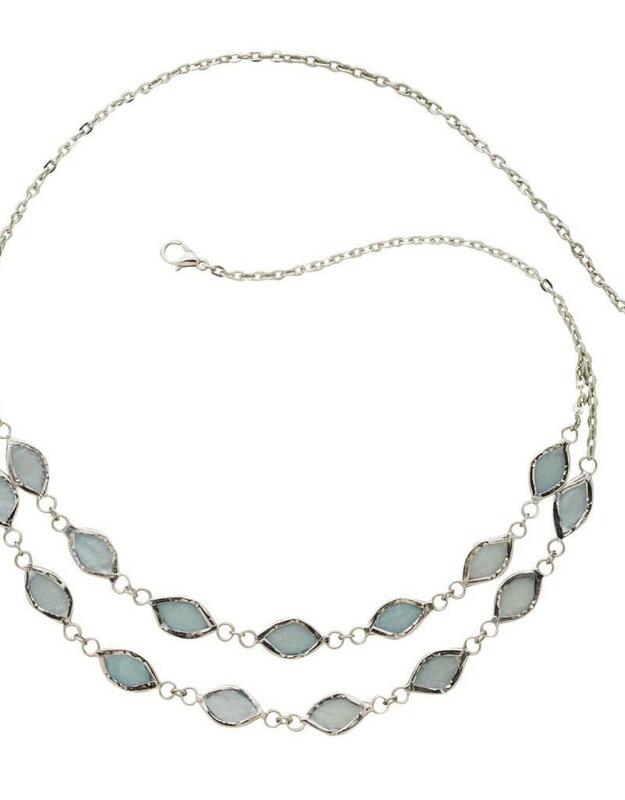 Capiz comes from the shell of a windowpane oyster and is dyed, dried, and cut to shape by skilled artisans. 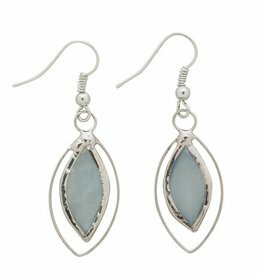 The lightweight and translucent quality of capiz makes it an excellent material for jewelry.